Hospital examination. 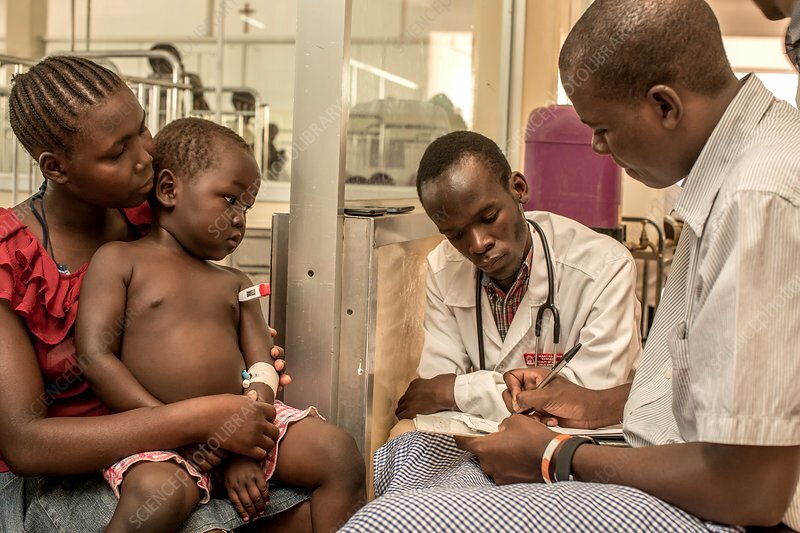 Doctors with a mother and her son, with a digital thermometer (in armpit) that is being used to measure the boy's body temperature. Photographed in St Mary's Hospital, Lacor, Gulu, Uganda.